How is Windows run on VPS servers? Running Windows on VPS usually implies the use of two types of virtualization technologies – XEN – the technology, generally applied in creation of fully virtualized VPS platforms and Hyper-V – special virtualization system, developed by Microsoft to run Windows VPS server only. XEN is known to many of our readers – this virtualization technology allows to create and manage virtual servers keeping them completely isolated from each other, while using same hardware resources by different system kernels – each fully virtualized environment keeps the system with its kernel that addresses to the layer of virtualized hardware. As for Hyper-V – this technology needs some description. In fact, it is a hypervisor that works on the basis of partitioning with at least one parent partition that has access to hardware and can create child partitions that host guest OSs within virtual environment – just like XEN and its interfaces. But if you take a closer look, you can see that Hyper-V is a version of core installation of Windows Server 2008 with virtualization support – which makes it look much like OpenVZ that utilizes modified Linux kernel. Thus, it is fair to call it a symbiosis of two technologies. What is so special about Windows VPS Hosting? VPS as a platform to run Windows on has become a real discovery for many users who needed Windows-based hosting but could hardly afford a dedicated server while experiencing issues with shared hosting, run under this OS. 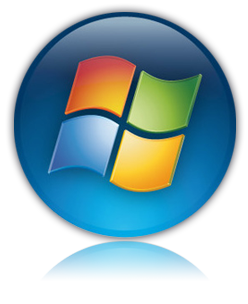 Indeed, using Windows as a server OS and namely for hosting needs is quite troublesome – initial resource usage is higher than that under Linux, disk usage policy and work of the disk subsystem is more complex, and full functional access can be achieved only by establishment of remote desktop connection (RDP) or a control panel. The latter aspect caused the biggest inconvenience, since shared hosting users are not usually provided with RDP access while the control panel functionality is limited so, that the lack of privileges makes the use of many tools impossible. Use of VPS hosting has solved many of those problems – VPS carriers with large amounts of RAM allowed to delegate resources that are enough for the system to operate with additional software and cover the loads created by resource intensive programs (e.g. Microsoft Exchange server); RAID hard disk arrays + virtual disk partitioning allowed to minimize the I/O loads and increase the read/writing speed. Finally, a VPS allowed to create isolated environment, which enabled the users to manage their servers under “Administrator” privileges. What are the downsides to keep in mind? Besides the obvious upsides of Windows-based VPS hosting, there are, however, downsides that should be considered while making the choice. First of all the price – when it comes to evaluation of Windows hosting in general and its hosting on a standalone server in particular, all licenses, starting from the OS itself and all software, seem to cost an arm and a leg. The server is not going to be cheap as well – as mentioned above, Windows requires more resources, so the least powerful virtual server you will need is a XEN-based VPS – which are more expensive than those under OpenVZ – with 1 GB of RAM at minimum (you can find plans with 512 MB of RAM offered, but there won’t be much resources left to operate with). A Hyper-V based server with same resource rates will grant you more stable hosting, but it is going to cost more. Mentioning this downside we don’t mean that the pricing difference is going to reflect in tens of dollars compared to Linux VPS hosting, but this may make some users think, whether they need it – at least those, who are not sure, if they are going to prefer ASP and .NET to PHP. If you are sure about the use of Microsoft software, here are some more tips on what you should be careful about. Accessibility. You may be happy about having RDP and control panel access to your server – both provide clear intuitive interfaces, the former actually makes you feel like sitting at your home desktop, but are those means actually enough? If your server gets too overloaded, you may not be able to access it to reboot it, so you will need to send a support request which definitely causes a time loss. What you may make sure about before choosing your Windows-driven VPS host, is if they offer remote reboots from the host’s client panel – this may save your time. Monitoring. Unlike Linux-based VPS servers, those running Windows need more severe monitoring, which may result into either bigger expenses – so you will need to hire an administrator or involve your host’s support team – or stresses, caused by constant inspection of your server’s state and investigation of issues it has or may have in future. There are even more aspects, related to OS Windows itself to be kept in mind – security, as Windows is quite vulnerable; software-related; usability-related and others. So it is fair to get back to the question, whether you really need it. Many webmasters who are asked to create a site to work on a Windows server usually ask this question. And when they receive a solid “yes” they want the project to be described as clearly as possible. Thus, if you imagine your project well and see the full picture of how it is going to be run and why exactly it needs Windows, you are on the right way, and we hope, that your experience in this is going to be positive.